The circumference and diameter of a circle depend on each other for definition. A circle's circumference is the measurement of its entire border, and its diameter is a straight measurement that goes through the circle's origin between two points on the circumference. The two measurements are bound by pi, which is a-circumference-to-diameter ratio known as 3.142 in simpler calculations, in the equation circumference equals diameter * pi. You can convert a measurement of circumference to its corresponding diameter by the working the equation backward on your calculator. Enter the circumference into the calculator with the digit keys. For this example, let the circumference be 600. Press the key for division. On most calculators, the division key will be signified as either "÷" or "/". Press the pi key, which will be represented as "pi" or "π". 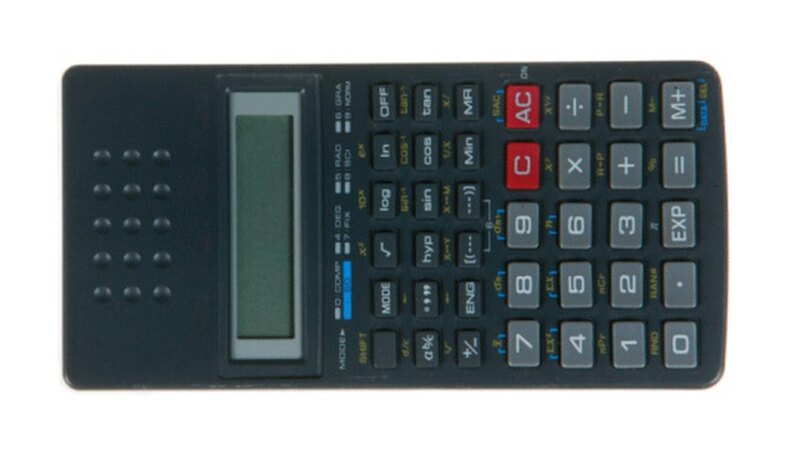 If you calculator does not have a key for pi, enter "3.142" with the keypad. Press "Enter" or the equal sign ("=") to calculate the diameter. Concluding this example, the diameter equals approximately 190.986. E., Chance. "How to Convert Circumference to Diameter on a Calculator." Sciencing, https://sciencing.com/convert-circumference-diameter-calculator-8273240.html. 24 April 2017.